There can be no tapestry of river life as fascinating and varied as the River Mekong. Discover the cultural contrast between the bustling Vietnam delta and the tranquillity of Cambodia. 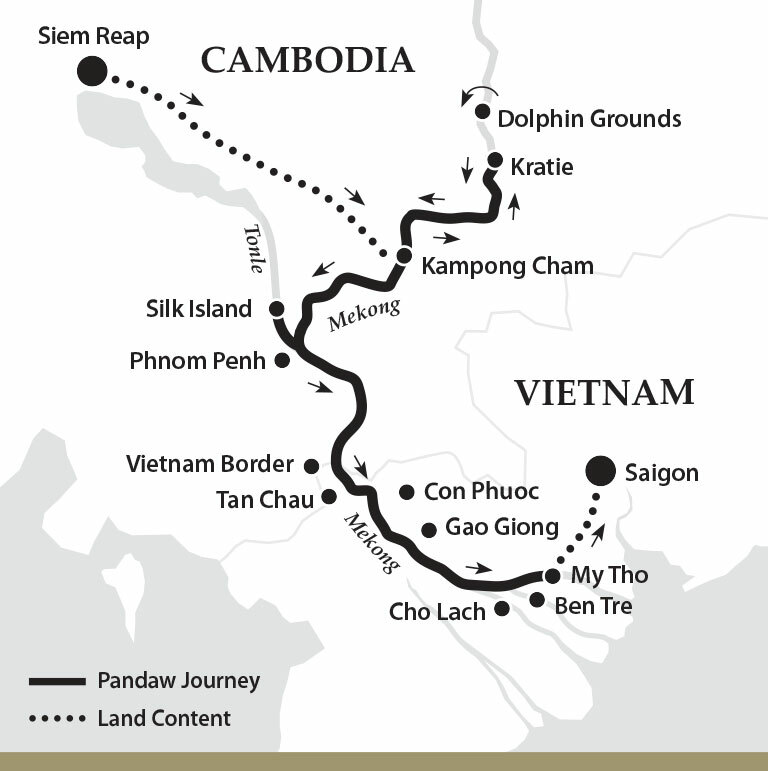 From the vibrant French colonial port of Saigon, through the vast delta so rich in human life and endeavour, to travel along the main channel into the rich countryside of Cambodia. With a full day in charming Phnom Penh we then explore remoter waterways as we progress to the great monuments of Angkok. Embark on your Pandaw at Kampong Cham. The vessel will proceed upstream to moor midstream for cocktails and to meet key crew. Moor at My Tho for disembarkation. Please note: Prices based on 14 Sep 2019 departure, other departures available at additional surcharge.